An international airport in the South-East is critical to Greater Dandenong’s economic viability, says Councillor Tim Dark. But colleagues Matthew Kirwan and Loi Truong voted against his motion to add the council’s voice to the push to get the project off the ground. At the Monday 29 January council meeting, Cr Dark still successfully moved that Greater Dandenong “overwhelmingly” support the long-touted third airport through letters to state and federal MPs. He said it would make it easier for multi-cultural residents to fly home without travelling across the city to Tullamarine or Avalon. “There has been a lot of consultation,” he said. Cr Dark said Caldermeade was the latest location supported. 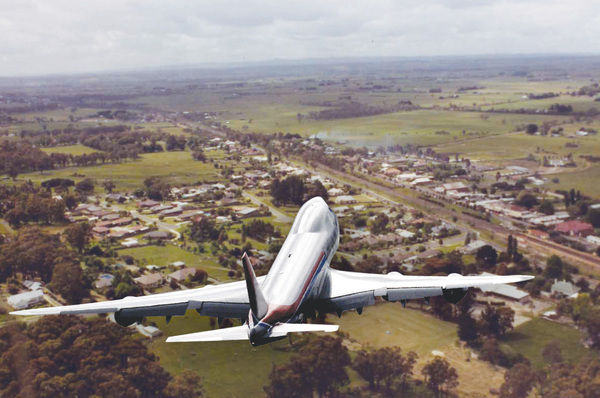 Passengers would likely travel through Greater Dandenong to reach it, he said, and the airport itself could create jobs for the municipality’s residents. “There are customers waiting to get to this airport,” he said. Cr Zaynoun Melhem questioned whether the council had already indicated its support for a third airport. CEO John Bennie confirmed that it had for many years, though was unsure whether “international” had been specified in the past. Cr Sean O’Reilly said: “If it is feasible, if the governments can encourage investment, all we’re saying is we’d be behind making a reality. Cr Maria Sampey said the letters were “just giving the government the feedback we’re getting from our residents”. “Ultimately the government is the one that’s making the decisions,” she said. Cr Roz Blades said South-East residents wanted to fly more often and that driving to Tullamarine was “a nightmare”. But Cr Kirwan said the project was “risky” and supporting it was “premature”. “Avalon hasn’t been a great success, yet we’re talking about supporting a third one,” he said. He said the proposed location was unclear, with Hastings also thrown into the mix, and that State Government planning policy said a third airport was an idea “only worth investigating”.